While it’s fairly common for Northern states to get a few inches of snow on Christmas Eve, it’s very rare for the South to get even an airborne flurry. Any accumulation is nearly unprecedented. * Brownsville, Texas experienced 1.5 inches of snow, the first measurable snowfall at the city in 105 years (since the Great Blizzard of 1899). * New Orleans had its first white Christmas in 50 years. * Houston, Texas had its first white Christmas ever! 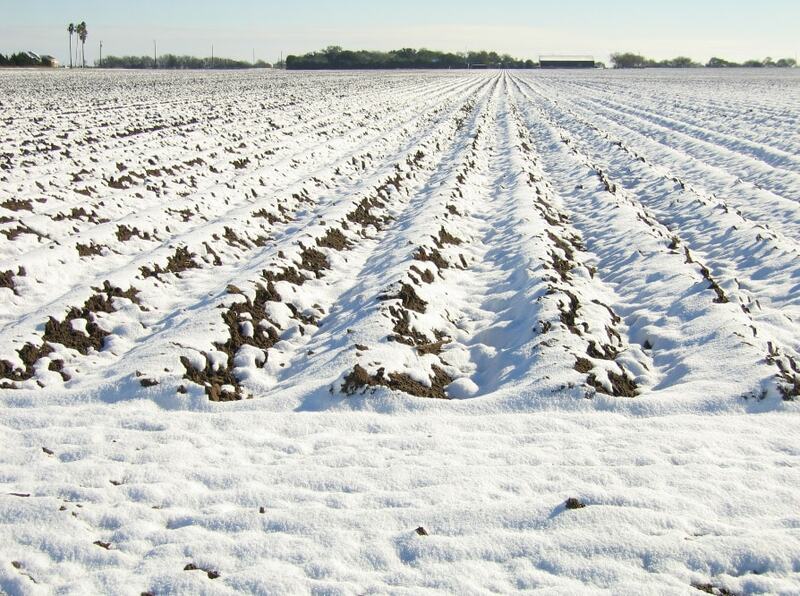 * Across all of southern Texas and southwestern Louisiana, snow fell in places where it hadn’t for anywhere from 15 to 120 years. At the same time, the Northern U.S. and Canada received barely any snow. An arctic cold front had pushed across Southeast Texas dropping temperatures below freezing, so plenty of cold air was in place on Christmas Eve when the snow began. What made this event unusual was not just the cold air being in place, but the depth of the cold air that was in place over the area. Before the heavy snow began on the night of Christmas Eve, the entire depth of the atmosphere over Southeast Texas was below freezing. Normally when winter weather events occur in Southeast Texas, the depth of the cold air is much shallower, resulting in ice (freezing rain or sleet) being a lot more common in these parts than snow. The upper low moved across South Texas during the nighttime hours Christmas Eve, resulting in a band of heavy snowfall just north of the track of the system. The band of heaviest snowfall, about 20 miles wide, was centered from Victoria to Edna to Bay City to Lake Jackson. Do you remember this storm? Tell us in the comments below!